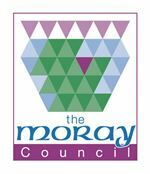 To provide leadership and to manage a team of qualified and unqualified staff in the area of learning disability, in order to deliver the key strategic aims of the organisation and to ensure the citizens of Moray have access to a high quality service. To ensure that Community Care forms effective partnerships within the area and that the aims and objectives of the Moray Community Health and Social Care Partnership are promoted. To lead or contribute to social care initiatives or projects on a Moray-wide basis, and within disciplinary projects as required. To ensure high quality services are provided in the area and that intended outcomes for clients are achieved. To effectively manage allocated budgets, staff resources and performance. To be responsible for all aspects of performance management in the team. To provide strong leadership that ensures that all staff are delivering to the highest standard. To ensure the maintenance of and compliance with departmental policies, procedures and standards through effective quality assurance, including Health and Safety. To contribute to, or lead social care projects or initiatives on a Moray-wide basis, and within disciplinary projects as required, in particular the progression model. Considerable experience as a Social Worker/ Manager or similar position. Understanding of main issues facing Adult Social Services in an integrated context. Developing and sustaining effective work relationships with colleagues, users/carers and other stakeholders. Ensuring effective management and performance through influence, persuasion, motivation. You will be expected to travel efficiently and effectively between various work locations within Moray to meet the operational requirements of the service. Due to the rural nature of Moray, this is normally undertaken by use of a car/van. Maintaining balance between competing demands and seeking to meet needs/expectations within available resources. Balancing the operational management demands with the longer term requirements for planning and service development. An ability to critically evaluate individual and service performance. Knowledge of the SSSC Codes of Practice and evidence of understanding/application in relevant work setting. Knowledge of Community Care statutory duties and responsibilities. Ability and willingness to work flexibly.